We know that the Cloud is a metaphor for the internet and cloud computing is the term used for describing the process of storing‚ accessing and sharing data and applications. Cloud computing offers a dynamically scalable infrastructure and virtualized resources. Applications can satisfy numerous demands and help companies offer cheap and reliable services to customers. 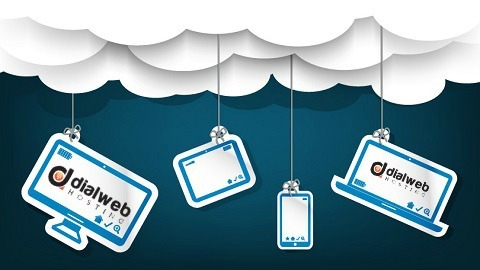 Today‚ cloud computing is the driving force in the IT landscape. It has helped professionals introduce pioneering changes in the designing and management of various IT services. It is abundantly clear from research in this field that cloud computing is a strategic initiative for organizations because it helps them grow faster without having to invest heavily in expensive IT systems. Cloud computing can increase operational efficiencies while lowering capital costs significantly over the long term. There were some concerns about information security, availability of service and performance but all these are well and truly in the past. The future of cloud computing is exciting and filled with innumerable possibilities as the technology continues to take giant strides‚ bringing in more potential benefits to businesses. It is undoubtedly the fastest-growing trend in enterprise technology today. The cloud is part of many organizations across the IT sector in numerous countries. Many organizations are discovering that once the system is in place‚ cloud computing can generate further cost benefits. They can build revenue through partnerships and new lines of business that can be developed using IT. As cloud computing involves using a centralized and shared pool of resources‚ rapid deployment of services can be achieved with minimal managerial interference. The service is popular for its highly scalable architecture. Businesses can easily move ahead with their plans at a faster pace and thus give productivity and efficiency a major boost. When you use cloud computing for your IT-based needs‚ you can also enjoy automated scaling that’s driven by pre-defined SLAs. Is Security An Area Of Concern? Security is of course‚ one of the biggest concern areas of companies looking to adopt cloud computing technology. Protecting sensitive, business-critical data is absolutely crucial for businesses. Niggling doubts persists that service providers will not be able to provide security processes such as user access controls, encryption and protection from virus and hacker attacks. The absolutely critical and confidential nature of data also makes it tough for the management to handover the control of security and backup to a third party. However‚ organizations that have already adopted cloud computing technology are of the opinion that these fears are generally unfounded. Surveys indicate that most users are satisfied with the level and quality of security delivered by service providers. Many companies also state that the cloud computing technology has actually improved their data security by many notches. Companies that have adopted the cloud model are also realizing the benefits of sharing their IT resources with internal business units and outside agencies. This is helping them create new growth opportunities that are not only robust in nature but profitable as well. In some instances‚ companies are becoming both consumers and providers of cloud hosting service. Cloud computing is helping such entities generate revenue in the process. Yet some other organizations are using the features and the power of the cloud model to give shape to absolutely newer enterprise in partnership with external providers. This simple yet innovative step is helping them satisfy the demand of the customers for better quality service and improved offerings. They can use the technology to usher in a different service model and that too within a short period of time. The best part is that they do not have to make significant capital expenditures to achieve this. Cloud computing is also coming in handy for businesses focusing on speedy delivery of new services. Companies can move their vital application to the cloud to reduce costs and also to improve features like collaboration, data sharing, and software development. The cloud can help companies dramatically reduce the time generally needed to deliver new business services. It is clear that cloud computing is here to stay. For those businesses that are still on the fence‚ the question to address is when and how and not why.